Spring cleaning has taken on a new meaning in the West Dorset village of Broadwindsor. Residents are banding together to put on a massive garage sale on Sunday 8 April, from 10am until 1pm. 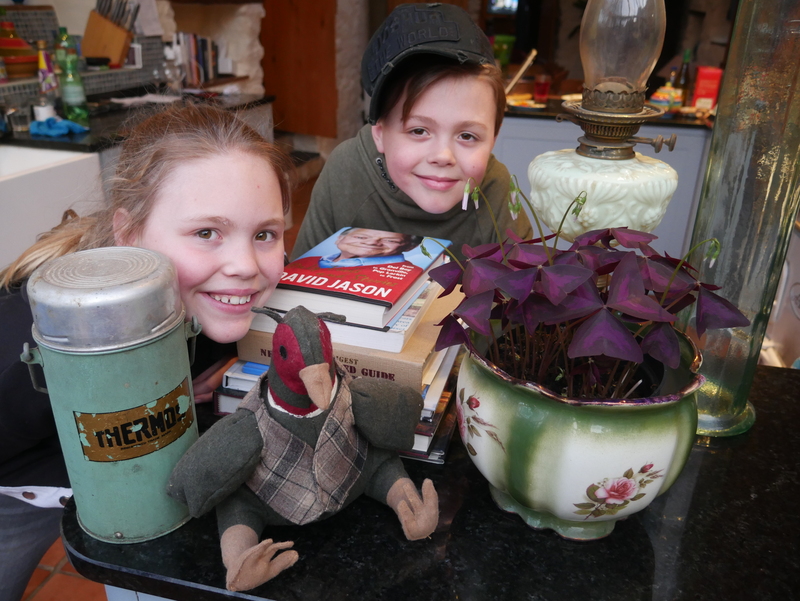 “We had a big garage sale in the village a few years ago and had lots of customers, including dealers who turned up early while villagers were still putting out their wares. Articles for sale will include furniture, antiques, plants, books, toys, clothing and bric-a-brac. Unlike car boot sales, there is no entry fee for customers, who can walk around the village at their leisure, call in at the shop for a map and a tea or coffee and then maybe have Sunday lunch in the White Lion Inn or Staddlestones, the new restaurant at Broadwindsor Craft Centre. Garage sale participants are paying £1 so the location of the stall or garage can be put on the map, copies of which will be available at Broadwindsor Community Stores in Drimpton Road. Volunteers help run the shop, which belongs to the village. “There is a great sense of community here in Broadwindsor,” says Margery. “There are lots of clubs, organisations and events – lots of things going on. So it’s not surprising that when I was in the White Lion and happened to mention I was thinking about staging another garage sale that straight away, I had about dozen people wanting to find out more. “The pound coins given to me by stallholders will go to Broadwindsor Jubilee Group, of which I’m joint secretary. We have our village Fun Day on Saturday 2 June and plan to close off the road for an afternoon and evening of entertainment on a big lorry provided free of charge by local construction firm PH Hardwill Ltd.
Entertainment includes the djembe drums of Organic Rhythm, who will running two workshops, local musicians Broadwindsor Jammers and Blues Station and The Sidekicks from Bridport. 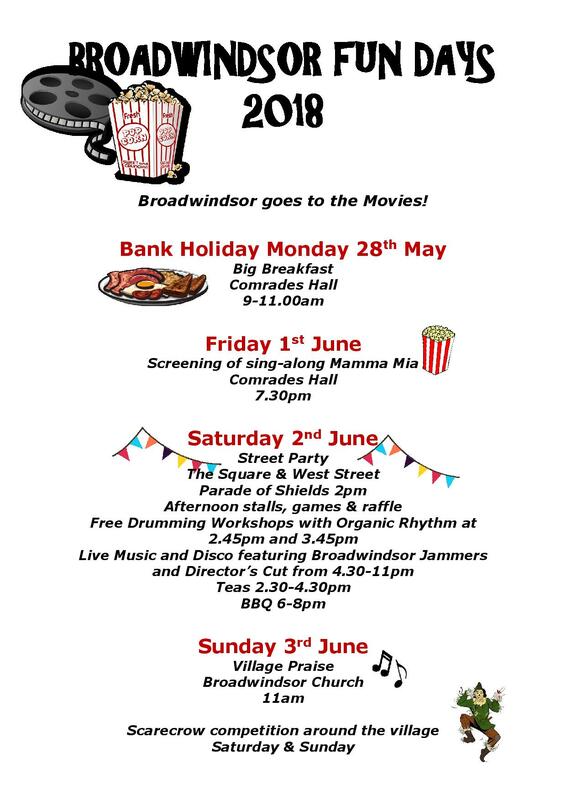 The weekend also sees the return of the popular scarecrow competition, which has the theme of Broadwindsor Goes to The Movies. Broadwindsor’s Massive Garage Sale takes place in and around the village on Sunday, 8 April from 10am to 1pm.